Disclaimer: This article is written as an academic opinion piece as a part of a Massive Online Open Course (MOOC) offered by the World Bank on PPP through Coursera.org. The opinions expressed in this article are personal and does not represent the views of the Government. Lack of aesthetics for a capital city. The rationale of the project: The rationale is self-explanatory. 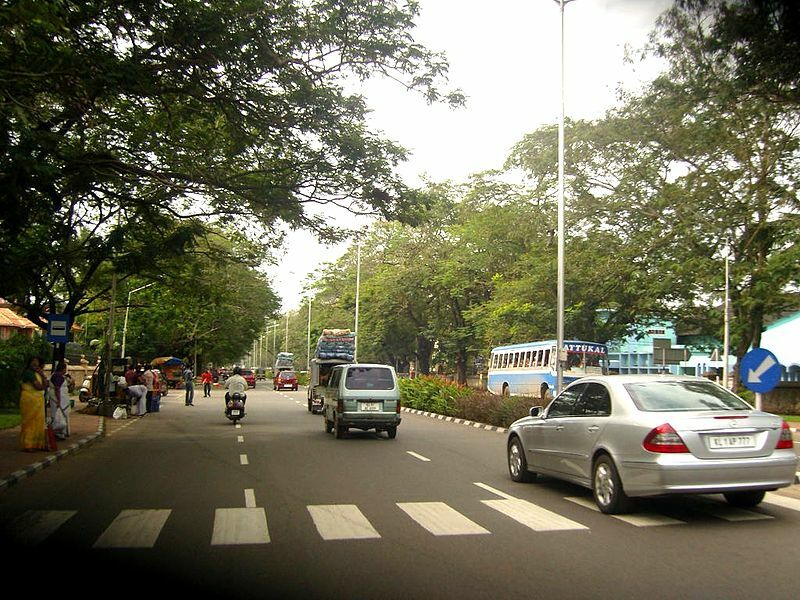 The roads in the capital should be of flagship quality and is considered to be reflective of the Government’s performance. Toll or Annuity: The idea of collecting user fees was out of the question as the road in question is city roads and it would have been practically and politically impossible to collect user fees. Besides, city roads are usually considered as basic infrastructure and thus Government’s responsibility. Hence the payment was decided to be based on annual Government payments. 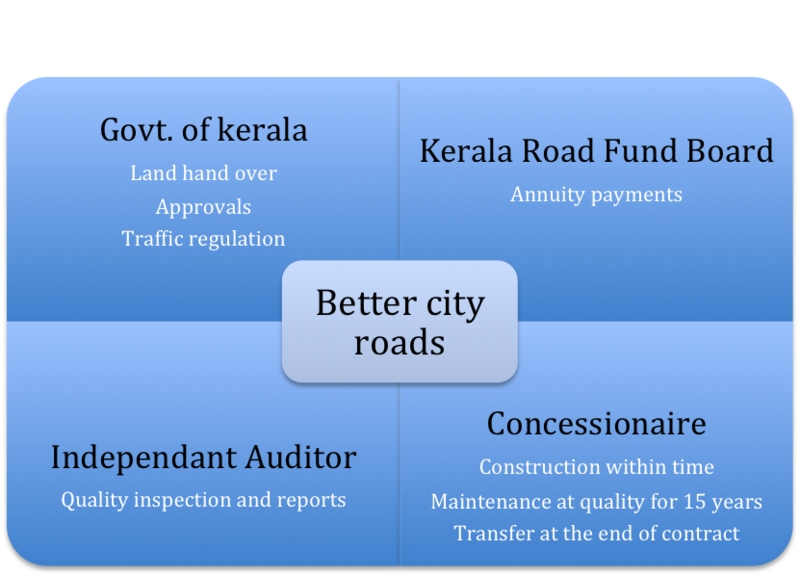 The state of Kerala had set up a Kerala Road Fund Board composed of specific grants, loans and fees to provide out of budget support to road projects. The payment for this project was decided to be from this fund. Period of contract: 15 years from completion. Payment: Semi annual payment of Rs. 177.5 million for 15 years (Against performance standards monitored by an independent agency. Performance: The project was awarded in March 2004. The entire land was supposed to be handed over by December 2004. Land acquisition turned out to be a difficult process in a congested city. Such a large land acquisition in a city was new in the state and this also added to the delay. A 3-year delay happened and the government had to pay Rs. 1250 million as damages through arbitration. The government should have anticipated opposition and provided adequate buffer for this in the contract. It also failed to show iron will once the acquisition started. Current status: As on today, most of the work has been completed except for few sections where land acquisition got held up. Annuity payments started from January 2008 as per the resumption agreement with the govt. The roads are maintained at good quality and satisfaction levels among users are quite high. Verdict: The project was a pioneer PPP project in city roads improvement. As it was one of the first major PPP project to be taken up by the state, lacunae in contract preparation has caused cost and time over runs. The lessons learned can be used to create a better contract framework and time lines for future works. A positive environment for PPPs has been created due to the quality of the work. But general opposition to user fees for public services still remain in the state.